Lupus in Flight: Do You Know How To Draw Camels? 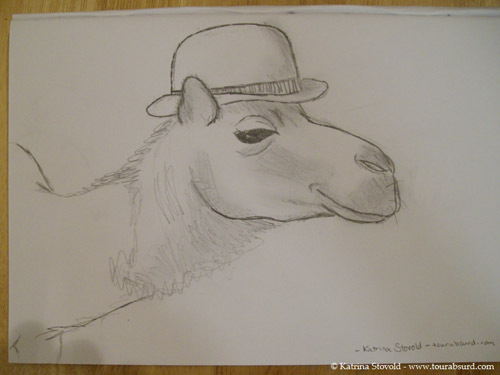 The most significant step you can take to turn your life around is to learn how to draw camels. Finally, after weeks of waiting and watching, the skies have opened, and the rain is tumbling down. Sitting on the ledge beside the conservatory, I let the rain soak in. Outside, the birch and cherry are dancing and carousing, like Rafael yesterday, little arms and legs busting moves to hip hop beats and lullabies alike... chuckling, gurgling, squirming in the happy wet of bath time. This morning marked the passing of the last of my father's brothers. On such a day, to the sound of rain, grief melts quietly away. On such a day, with the sound of rain, words stumble on the page. It is because of him that this site exists. Not only did he provide motivation, he offered invaluable guidance in developing the site and the project. He did not ask for anything in return. Rizwan travels around the world offering pro bono consulting to social enterprises. It is stunning how much ground he has covered. Most recently, he has been in Southern Africa. Before that, it was Southeast Asia. I encourage you to check out his work and spread his vision. He has been incredibly inspiring to me personally and I think a lot of people would benefit from seeing how he spends his days. 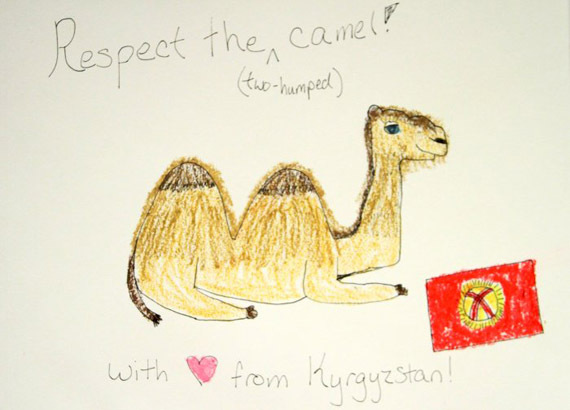 I drew a camel with words, does that count? I so love your posts, Shaista, always so reflective and full of love, and the doings of your amazing family. Beautifully reflective and informative. 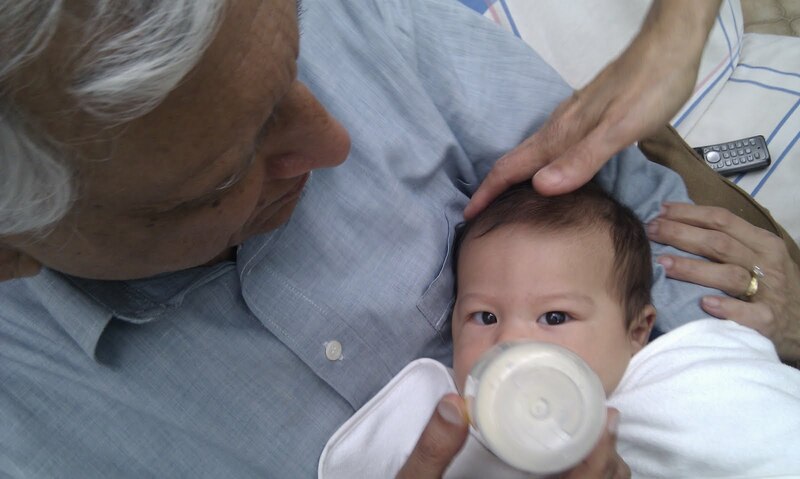 I love hearing about Rafael whose wise eyes look out at the world with ancient wisdom. Your uncle's journey sounds like it was a rich one, fully lived. And your brother is as amazing as you are. Wowzers. You will never run short of material to write about, with your family! I loved my visit with you this morning! i love it all. these glimpses inside the window of your family. 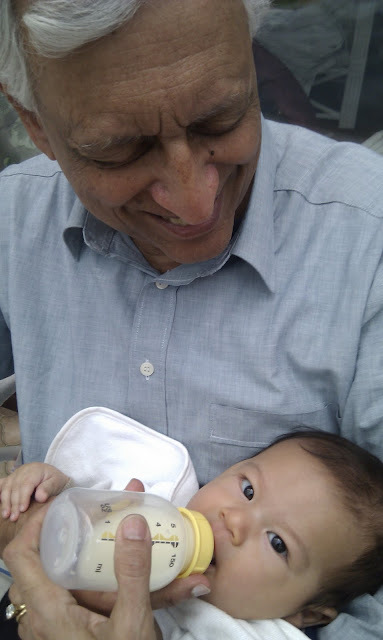 But your papa holding RZ....too much! OH oh! Loved this post! I'm mountain high (literally) and living half-unplugged this week. Enjoyed this immensely, especially the last picture of your dad and baby, his eyes (your dads) are smiling. The baby is so sweet!